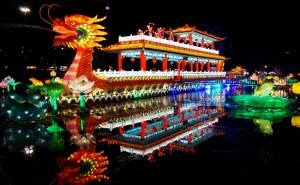 Longleat is to stage the biggest Chinese lantern festival ever seen in Europe this winter. Following the extraordinary success of last year’s inaugural Festival of Light, which saw more than 150,000 people visit Longleat over the Christmas period, organisers have vowed this year’s extravaganza will be bigger and better than ever. More than 20,000 individual lanterns, will once again transform the Wiltshire estate in to a magical illuminated winter wonderland. 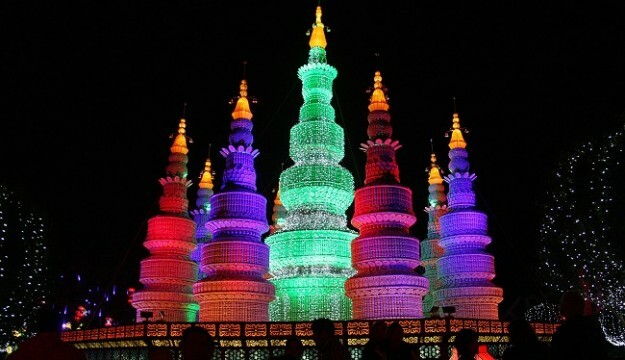 Over three-quarters of the glowing scenes are entirely new for this year and designers have taken their inspiration from China’s mighty Tang and Qin dynasties.Among the new illuminated artworks will be the twenty-metre-tall Porcelain Pagoda – created out of 80,000 porcelain cups, bowls and plates, a 50-metre-long, life-size floating Dragon Boat and a stunning recreation from parts of the famous Terracotta Army. 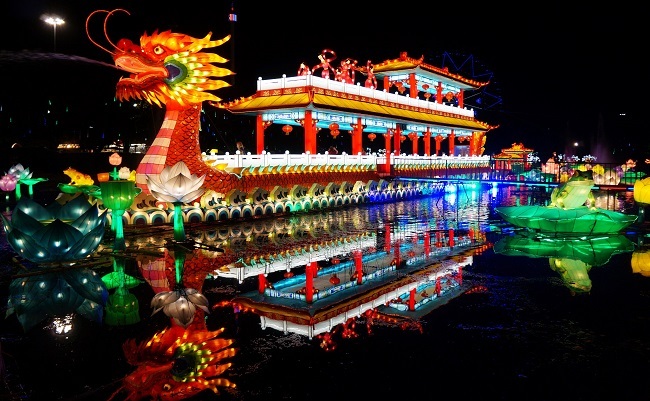 A team of highly-skilled artists from Zigong in China’s Sichuan province, which has been staging lantern festivals for more than 2,000 years, are travelling to the UK to help create the must-see event. “To be honest we had very high expectations for last year’s event, but even we were overwhelmed by the positive reaction from our visitors who scored the event as outstanding with a 97% rating,” said Longleat’s CEO Bob Montgomery. “Our challenge now is to go one better in 2015. There will be five additional scenes, with the majority of the illuminated tableaux being entirely new. “However several of the most popular displays; including the mythical Qilin, which are each made from over 65,000 glass phials filled with coloured liquid, the giant elephants and the safari park animals will also be returning,” he added. The new Festival of Light will run alongside Longleat’s traditional Christmas celebrations which include the Santa Trains, Giant Musical Christmas Tree, Fairytale Characters and an outdoor Ice Skating Rink. The Festival of Light at Longleat opens Fridays to Sundays from November 13th to December 6th and then daily from December 11th to January 3rd (excluding Christmas Day.